John Anderson, a senior at St. Maria Goretti High School in Hagerstown, has known since he was in fifth grade that his spiritual journey would lead him to enter the seminary. This past weekend, he, along with 15 other thinking of religious life, took a major step toward that goal at a discernment retreat held at St. Mary’s Seminary in Roland Park Jan. 18-20. Anderson, a 17-year-old parishioner of St. Mary in Hagerstown, first heard the calling on a separate retreat with a church group at Mount St. Mary’s University in Emmitsburg. Years later, Anderson attended a Steubenville conference, where he felt a similar calling that confirmed his decision. 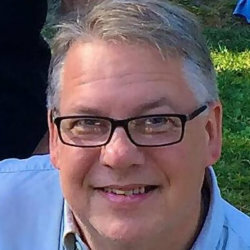 Soon after the conference, Anderson contacted Father Steven Roth, vocations director for the Archdiocese of Baltimore, and initiated the process of discernment. After meeting with Anderson and conversing with him several times, Father Roth believed Anderson, like the others attending the weekend retreat, was ready to take the next step. According to Father Roth, those who are discerning attend the retreat to grow closer to God and to help understand whether God is calling them to the priesthood and seminary. They get to know each other, fostering a sense of unity and strength of knowing they are not alone in discerning where God is calling them, Father Roth said. While many of the discerners were from Maryland, others, such as Roger Mungala, traveled from as far away as The Democratic Republic of the Congo. Mungala, who has attended similar retreats through the archdiocese, found the four sessions on discernment particularly relevant to his calling. Father Roth was optimistic by the number of retreat participants, which was higher than in previous years. “I think these men see the struggles and burdens the church is facing and are stepping forward and saying, I want to be part of the solution,” he said. Mungala noted that there are many good priests. Archbishop William E. Lori celebrated a Mass Jan. 19 with those attending the retreat. He shared his own story of discernment, recalling how he attended what he thought would be a “routine” Mass in the Detroit area as a young man until he heard simple words from a parish priest spoken from the heart. They sparked a moment of conversion for him. As for the unwavering Anderson, he hopes to attend Catholic University and live at St. John Paul II Seminary in Washington, D.C., in pursuit of his calling, despite the challenges the Catholic Church has faced.